I joined Red Hat's Desktop Hardware Enablement team almost a year ago. 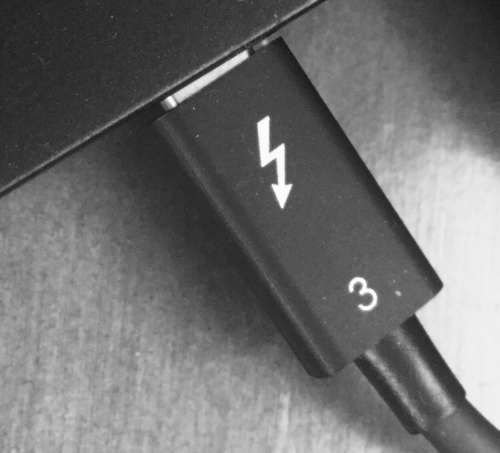 One of the things that I have been looking into recently is Thunderbolt 3. With kernel 4.13 we got a completely new kernel interface for interacting with it from userspace (the work was done by Intel). One of the two big things this interface provides is updating the firmware (the non-volatile memory, or NVM in short) of the host controller and attached thunderbolt devices. With help from Dell's Mario Limonciello, Intel's Yehezkel Bernat, and of course our own Richard Hughes I created a thunderbolt 3 plugin for fwupd, which device and host firmware updates should show up in GNOME Software (or any other fwupd userspace clients) and updating them should be a breeze. The code landed already in fwupd 0.9.7. On the technical side this is done all done via sysfs. Thunderbolt devices (including the host) are exposed via /sys/bus/thunderbolt/devices and for the NVM we get two additional subdevices for each devices, i.e. nvm_activeX and nvm_non_activeX (where X is a global nvm device counter). The latter one contains a file called nvmem where we can write new firmware binaries to. The upgrade process is triggered by authenticating the NVM via a write to the nvm_authenticate file of the device, like # echo 1 > /sys/bus/thunderbolt/devices/0-0/nvm_authenticate. That in brief is what the thunderbolt 3 fwupd does to apply firmware updates. It uses udev to monitor for changes of attached devices. Discovery of updates is all done by the existing fwupd code, and the fwupd plugin API was actually nice to work with and made writing the plugin straight-forward and, yes even fun. Once vendors start uploading firmware to the LVFS it will be easy, safe and reliable to update the NVM. If you're interested in helping out with fwupd or the Thunderbolt stuff then please join the mailing list where we discuss this kind of thing. Is there a good place to get problems with thunderbolt3 discussed? I have a Yoga 920 and thunderbolt3 doesn't seem to be working correctly.